Over the past 120 years, Marxist ideas have undergone frequent revivals on the silver screen. Since the dawn of film, directors and filmmakers have used the medium to disseminate Marx’s theories and beliefs. Unsurprisingly, 1920s Soviet films depicting the October Revolution and Russian Civil War were particularly strong proponents of Marxist ideology. They were designed to win viewers over to the revolutionary agenda and Marxist philosophy espoused by the fledgling Soviet government. Even those who couldn’t read the Communist Party’s manifesto could understand the revolution as depicted on the silver screen. The influence of Marxist ideas on film art has extended into the present day as well. Not only have numerous films have explored Karl Marx as a historical figure, most recently in The Young Karl Marx by Raoul Peck, for example; the history of cinema is also littered with tales of class and liberation struggles, anti-colonialism, alienation, wars and revolutions. Films do not always reference Marx directly as a person, choosing instead to take up his ideas and apply them to their respective era. Here are 12 films from 120 years of cinema that would have been unthinkable without Marx and his ideas. 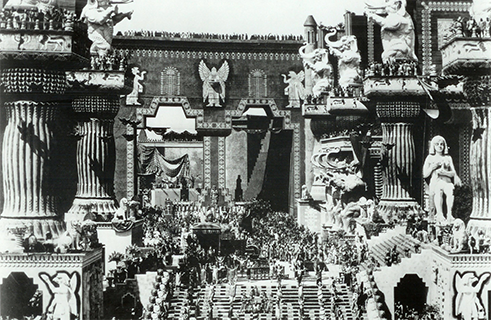 US director David Wark Griffith depicts mankind’s intolerant and violent nature in four parallel storylines separated by many centuries: The fall of Babylon, Jesus’ quarrel with the Pharisees, the St. Bartholomew’s Day Massacre, and a contemporary mill workers’ strike. He switches back and forth between the narratives to highlight the similarities among these events, painting a picture of an eternal (class) struggle embodied in clashes between the striking mill workers and the state authorities, for example. 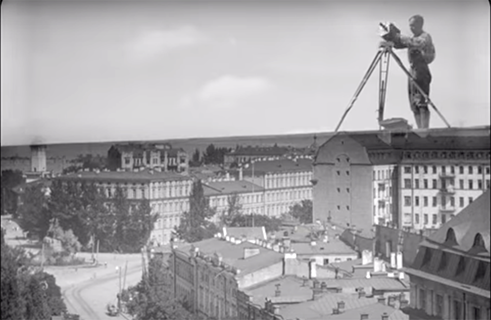 Some early cinematic masterpieces were made as communist state propaganda. Directors such as Russians Dziga Vertov and Sergei Eisenstein enthusiastically sized on the unique power of the new medium of film and saw cinema as a useful tool for the revolution. 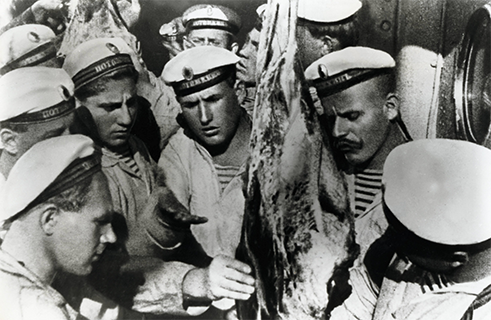 The silent film Battleship Potemkin depicts the events of revolutionary year 1905 by dramatizing a mutiny on the Russian battleship Potemkin. The ship’s crew rises up against the officers loyal the Tsar, and revolutionary fervour spreads throughout the country from this initial insurgency. The story is loosely based on events actual events that took place on the Potemkin in June 1905, though the mutineers were forced to surrender when they ran out of coal. In communist countries, art is often closely linked to the doctrine of Socialist Realism, which prohibits all forms of abstraction and aestheticization for ideological reasons. The fast-paced, poetic documentary The Man with the Movie Camera melds everyday sequences of people at work and play into a poetic symphony. Dziga Vertov’s enthralling flow of pictures is a heady mix of reality and idealized images of a socialist society. 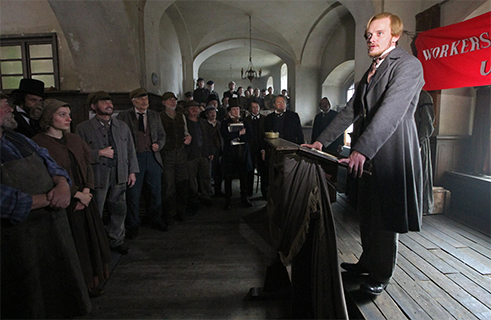 The pace of the film reflects the equally rapid changes and upheavals that took place following the October Revolution of 1917, which completely transformed everyday life with the expropriation of land, the nationalization of industry and the introduction of Marxism as a state philosophy. Charlie Chaplin’s childhood was marked by bitter poverty. In his slapstick comedies, the US director and actor always took up the causes of the poor and disenfranchised, pointing out the social injustices caused by capitalist modes of production. 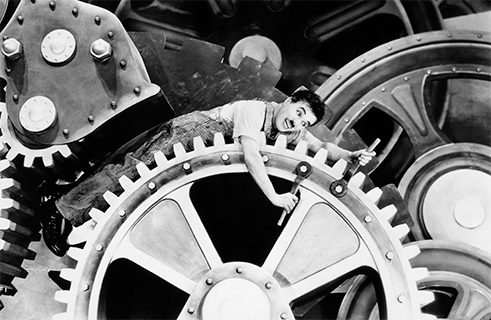 Modern Times from 1936 portrays the hardscrabble life of Chaplin’s famous tramp figure following the Great Depression of 1929, years shaped by mass unemployment and Fordist capitalism. There has never been a more playful and entertaining depiction of Marx’s concept of “estranged labour” than the famous factory scene in which the tramp falls onto a conveyor belt and is pulled into the cogs of a giant machine. In the bitterly anti-communist McCarthy era in the USA, any critique of the state was deemed subversive or even treasonous. American screenwriter and director Herbert Biberman numbered among the Hollywood Ten – members of the film community who refused to testify in front of the “House Un-American Activities Committee” and were punished for it. Salt of the Earth fictionalizes the events surrounding a real strike by Empire Zinc workers in New Mexico in 1951. 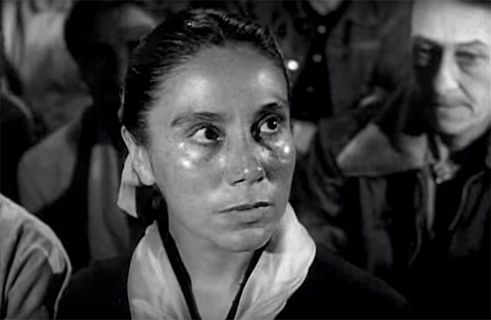 Stylistically inspired by Italian neorealism, the film censures not only the living conditions of the mostly Mexican workers, but also the double standard inside their movement: protagonist Ramon is committed to promoting equality, yet he treats his wife Esperanza like a second-class citizen. Biberman emphasizes Marx’s avowal in the Communist Manifesto that the revolution is also in the hands of women. American film critic Pauline Kael once referred to Italian director Gillo Pontecorvo as a “Marxist poet”. 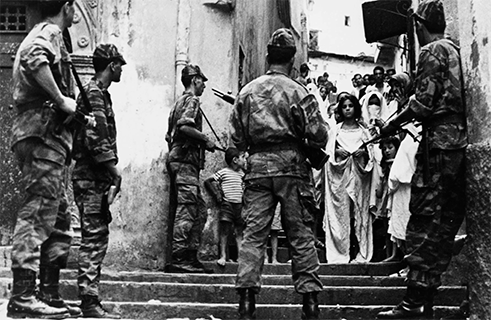 In The Battle of Algiers, Pontecorvo thematises the 1954 to 1962 Algerian War of Independence from French colonial rule, telling the story of the Marxist-nationalist liberation front’s struggle to defeat the French army. He takes great care to highlight the acts of violence committed on both sides, an effort to provide an objective description of the events inspired by Italian neorealism. As a Catholic, gay Marxist, Italian director Pier Paolo Pasolini was a walking paradox. He attacked the church, capitalism and contemporary morality in his provocative texts and films with such vehemence that he often turned supporters against him. Pigsty alternates between two stories, one of a young man who establishes a revolutionary group of cannibals in a desert landscape that seems straight of the bible, and the other of the crimes committed under National Socialism and their aftermath in 1960s Germany. 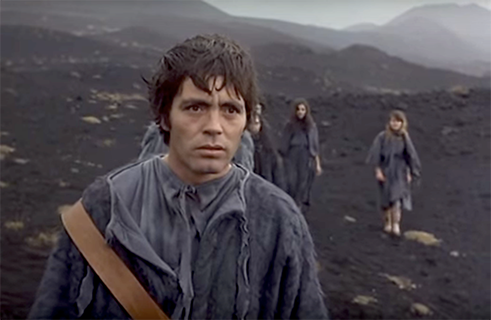 Pasolini radically pits all available forces against bourgeois society, only to let them ultimately fail. The theory here seems to be that the revolution must fail on the screen to inspire the viewer to incite a real-life revolution. In 1968, the year of the student and civil rights movements, French-Swiss director and screenwriter Jean-Luc Godard founded the “Groupe Dziga Vertov” artists’ collective together with political activist Pierre Gorin. Their aim was to dedicate their film work to serving the class struggle. The collective produced nine films between 1968 and 1972. Political activism wasn’t new to Godard, who had previously portrayed the youthful 1968 generation in films like The Children of Marx and Coca-Cola. In Tout Va Bien, an American reporter and her French husband witness a strike in a sausage factory as workers protest the deplorable working conditions there. The couple discovers how capitalism destroys social cohesion. Inspired by Bertolt Brecht, the film’s experimental approach is intended not just to draw the viewer into history, but also to convey a clear message that revolution is the only option. German director Margarethe von Trotta was the first woman to be awarded the Golden Lion at the Venice Film Festival for her film about sisters Christiane and Gudrun Ensslin. Both Ensslin sisters were active in the student movement and worked for change, but ultimately chose very different paths. 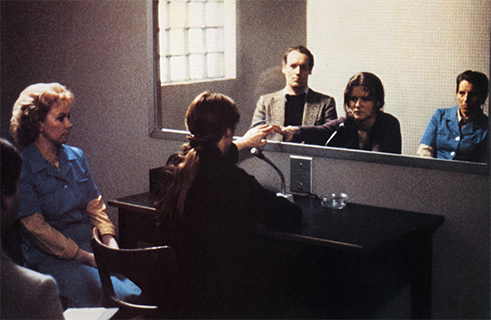 The film is an exemplary exploration of the limits and possibilities of the 1968 German student movement, and asks why one sister was radicalized into a Red Army Faction terrorist, while the other retained her belief in the power of democracy, and expressed her political activism through journalism. A film in two parts covering two revolutions: two film formats, two colour schemes, and two narrative forms and speeds. US-American director Steven Soderbergh tells the story of Latin-American guerrilla leader and staunch Marxist Che Guevara as both as a person and a symbol. Soderbergh defines Marx’s dialectics as the reigning artistic principle in his film. In low-key sequences, he shows conspiratorial meetings, Guevara’s rise to commandant, and finally the seizure of power in Cuba. 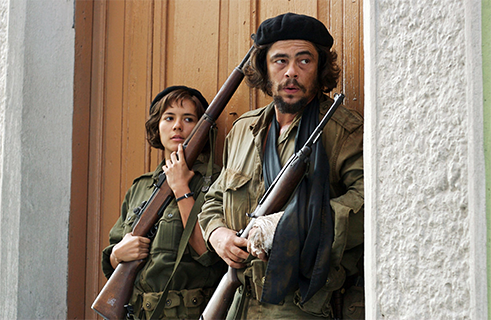 Together the two halves – the first depicting the revolution in Cuba, the second Che’s attempt to incite revolt in Bolivia – are a visually stunning epic lasting almost four hours. 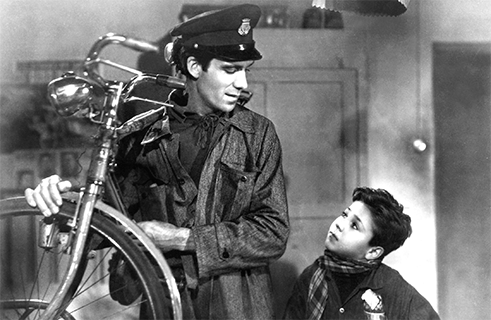 Karl Marx is also a frequently character in films, such as in the Soviet biography Year as Life, the eleven-part television series Marx und Engels – Stationen ihres Lebens (Marx and Engels – Stations in their Lives) produced in the German Democratic Republic, and Jean-Luc Godard’s Weekend. His most recent on-screen appearance was in August Diehl’s The Young Karl Marx where he is depicted as young revolutionary with a lust for life. Directed by Haitian Raoul Peck, the drama focuses on Marx’s formative years from 1843 to 1848. And while the film is less revolutionary than the actions of its protagonist, it is an interesting indication of how vital Marx and his ideas have remained for the cinema, even 130 years after his death. Lucas Barwenczik is a freelance critic and writes about cinema and film culture for publications like “Filmdienst”, “Kino-Zeit” and “Culturmag”. Copyright: Text: Goethe-Institut, Lucas Barwenczik. This work is licensed under a Creative Commons Attribution – Share Alike 3.0 Germany license.